The notion that the brain is the holy grail in relation to emotional and mental health has been a dominant theme for over half a century within mental health globally. This notion sounds attractive and alluring. It is widely promoted by the psychiatric wing of the medication profession, and has been taken on board as factual by many other professions and bodies. On 25 June 2018, a blog was published on the website of the American Counseling Association entitled ‘Anxiety and the Brain’, written by Deb Del Vecchio-Scully, counsellor. According to this article, ‘the root cause of anxiety is found in brain waves and how effective or ineffective they are working’. Regrettably, the author of this article has fallen into the common trap of assuming and referring causality to the brain – the brain as the master. This is a cause-correlation (or, false cause) logical fallacy – assuming that when two phenomena occur concurrently, one causes the other, when such conclusions have not been established as correct. The notion that emotional and mental health issues arise from the brain is now erroneously accepted as a given, as a fact. It is disappointing and worrying to see the American Psychological Association give a thumbs up to this fallacy. Clink here to see the article in which this image appears. Rather than being the master, the brain is here being the servant of the being. 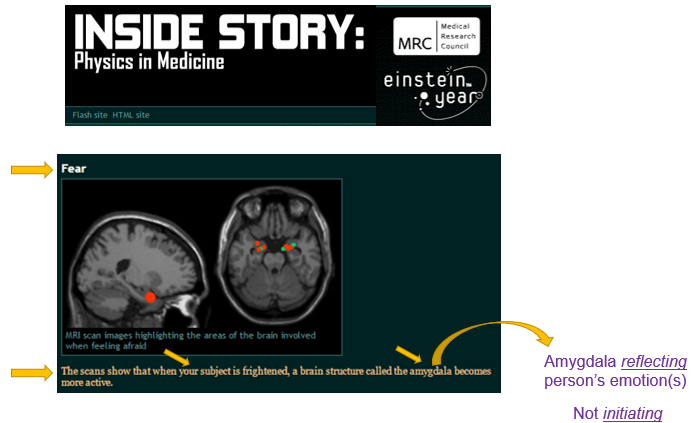 The maintenance of the illusion that in such circumstances the brain is the master is essential for the maintenance of psychiatry’s dominant position in global mental health – which is why this fallacy is repeatedly emphasised from within psychiatry. One might have thought that the counselling professions would question this assumption rather than unquestioningly accept it as a known fact. 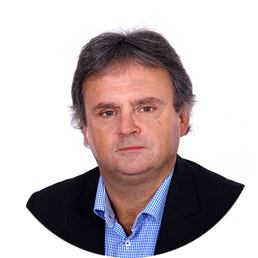 It is high time that, in the public interest, the counselling professions became more courageous and questioned the assumptions that govern global mental health, rather than sheepishly accepting medical pronouncements on mental health that originate from self- and group-interest, that hinder real progress in global mental health. 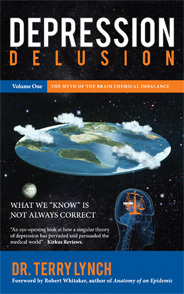 Depression Delusion: The Myth of the Brain Chemical Imbalance (2015) – Foreword by Robert Whitaker. Beyond Prozac: Healing Mental Distress (2004) – Best seller in Ireland in 2001, reaching no. 3 in non-fiction best sellers. Keynote Speaker, William Glasser International Biennial Conference, Colombia, June 2018. This entry was posted in Blog, News and tagged American Counseling Association, anxiety, brain, British Association of Counselling and Psychotherapy, counseling, Deb Del Vecchio-Scully, Dr. Terry Lynch, false cause logical fallacy, Irish Association of Counselling and Psychotherapy, logical fallacy, mental disorders, mental health, mental illness on 7th July 2018 by drterry. This entry was posted in Blog, News and tagged antidepressants, antipsychiatry, bipolar disorder, brain chemical imbalance, depression, Dr. Peter Breggin, Dr. Terry Lynch, mental disorders, mental health courses, mental health recovery, mental illness, obsessive compulsive disorder (OCD), psychiatry, schizophrenia, suicide on 4th July 2018 by drterry.